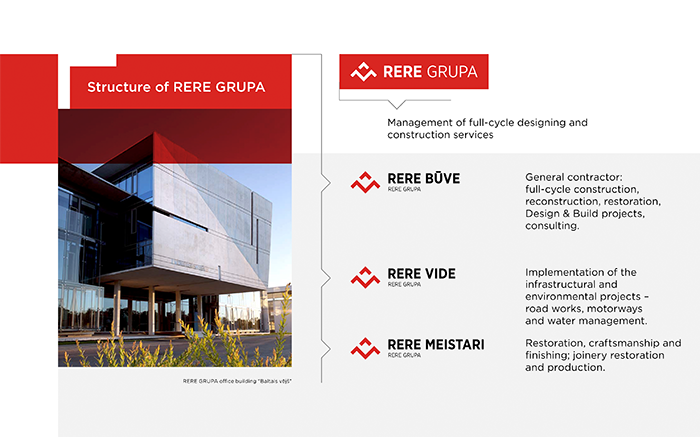 RERE GRUPA is a company of construction professionals. The team has extensive experience. We offer expertise and quality in three main directions: construction, renovation as well as the implementation of infrastructure and environmental projects. Highly qualified engineers, Latvian leading renovators, professional infrastructure and environment project specialists are ready to bring your construction ideas into reality.